The Interscience BagMixer is a solid sample preparation system that blends sample materials with a stomach-like action in a sterile bag. This bag is repetitively squeezed to break up the contents, which is said to cause less damage to the sample than rotating blade systems. Special filter bags automatically separate the juice or inoculum from the solids, and the sample is always contained within the bag keeping the blender clean. 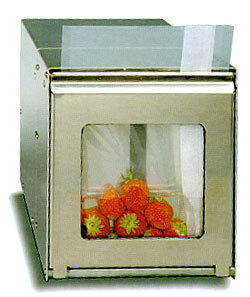 This system includes a blender, filter bags, storage racks, bag openers, bag clips and pipettes.